It is often an uneasy task to identify all of the updates and changes to Office 365 Government Community Cloud High (GCC High), much less validate them. This blog series is intended to keep the community of GCC High users up to date on the latest happenings throughout the platform. This information will not be exhaustive of every update or change, and some bullet points will be outright guesses. Nevertheless, we will try our best to notate where we can. One last note: Certain features or products are in public preview. It is our firm recommendation that you do not roll out or migrate to any new product before it is generally available. If a feature is in preview, the fine print basically states that it is unsupported by MS. Therefore, you are in treacherous waters in the event that something breaks or malfunctions. PowerApps and Flow are now generally available (GA). Summit 7 is actively vetting and monitoring the arrival of new features in the tenants we manage, and we have multiple instances where PowerApps and Flow are not appearing (admin centers or via the user app launcher). Nevertheless, once they appear in your tenant, both of these Office 365 workloads are perfect for automating internal processes within your business. However, it is important to inspect the flow of information for compliance considerations. Though you can label and enforce technical policies on the access to specific information, you may break documented policies by allowing information to be acted upon or manipulated via a workflow. We use PowerApps and Flow for our Visitor Management Solution and Flow plays a role in our Proposal Management Solution. Intune is one of the most requested products and feature sets for contractors looking to meet NIST 800-171. At the end of the quarter, Microsoft began to whitelist select tenants for Intune. This was no small feat, as Microsoft had to stand up a unique instance of Azure Active Directory (AAD) in Azure Government just for this service. We look forward to seeing an uptick in whitelisting during the next two quarters of the year. Unified Audit Logging is now rolling out as GA for GCC High tenants in the Security and Compliance Center. This feature is critical in meeting 3.3 Audit and Accountability. From this view, administrators will be able to create logs for inspecting user or admin behaviors. Also, alerts can be established for specific events and real-time auditing. Azure Sentinel currently does not have a release date for Azure Government and is only in preview for Azure Commercial, but we wanted to make you aware of it anyway. It is a Security Information and Event Management (SIEM) product built for enterprise cloud surveillance and it points Microsoft's AI and Machine Learning capabilities at your threat landscape. Their service is cloud-native and eliminates issues of previous SIEM products where you might run into storage or query limits. Best of all - it comes with free Office 365 imports. 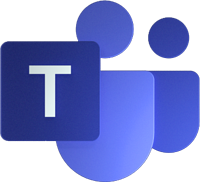 Microsoft Teams and the Teams Admin Center are now GA for GCC High tenants. As of this writing, there have been a couple occurrences of the Teams Admin Center being non-responsive, but issues seem resolved. Microsoft will be rolling out Private Channels in Teams later this year, which will allow administrators to customize which members of the team can see conversations and files associated with a channel without the need to create a separate Team. 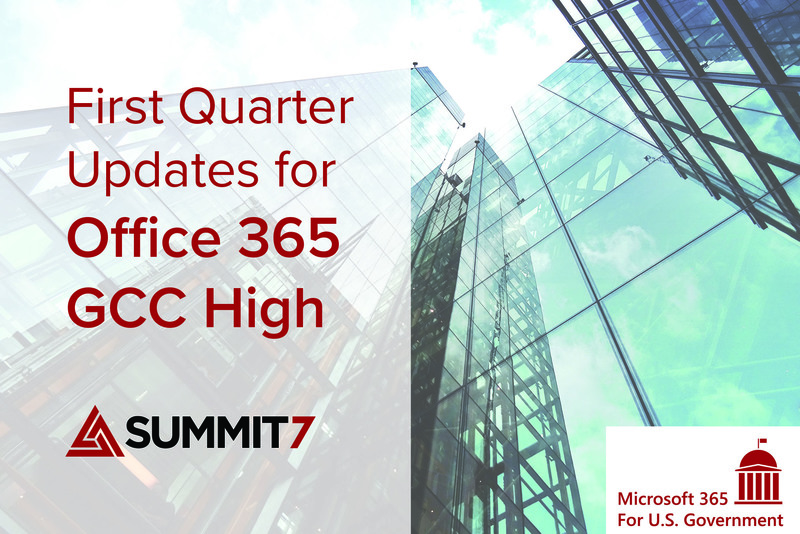 We assume this will be a fairly quick availability for GCC High after becoming available in O365 Commercial; however, stay tuned. Also, to compliment this feature, administrators will be able to create Data Loss Prevention Policies (DLP) specifically for Teams to detect, automatically protect, and screen for sensitive information (CUI, ITAR, etc.) in chats and channel conversations. This is currently generally available for commercial O365 tenants, but not in GCC High. We assume it will be made available soon (approximately Q2/Q3). Forms is now generally available in GCC High. Unlike Commercial, these forms cannot be shared externally. Forms is now automatically turned on in your tenant and can be turned off in the Admin Center. Lists & Libraries now support new "Signals" (status icons) to provide end-users a visual cues about the status of a file, such as check-outs, sharing, DLP blocks, or missing metadata, etc. This last item is not tied to Office 365 GCC High, but may be generally helpful for the audience. We have successfully implemented various Sage, SAP, Quickbooks, and more business/accounting systems in Azure Government. These migrations have had security and compliance logic behind them, and is a cost savings for the businesses overall. Feel free to drop in comments or questions below. We won't publicize them.